This house is in a wonderful location. There are several parks and an elementary school within walking distance, 3 miles away from light rail stations,near Santa Fe, Belleview and 285.Backyard is perfect for entertaining,views of the mountains,large Trex deck with a natural gas line access, patio with plenty of room for seating and a fire pit, large storage shed and a childrens play set with a climbing wall, slide and sandbox.3 garden boxes with sprinkler coverage. Inside has open floor plan with a spacious living and dining room. Kitchen features 2 pantries,an abundance of storage, stainless steel refrigerator,dishwasher. 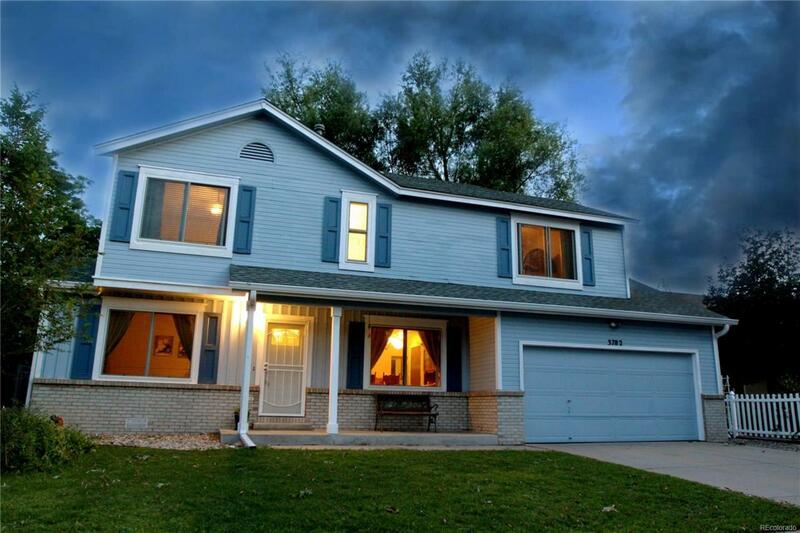 Spacious family room,vaulted ceilings,gas fireplace.Upstairs has loft, master bedroom with vaulted ceilings,spacious walk-in closet and full bathroom.2 additional bedrooms,walk in closets, and full bathroom.Home has been well cared for,updates like new windows in 2017, new seamless gutters and downspouts in 2018, top of the line front-loading washer and dryer.